The arts and entertainment hub of West Texas, El Paso is home to numerous music festivals and has a thriving local music scene. 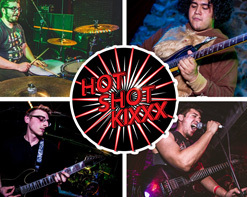 The city’s latest export is four-piece rock band Hot Shot Kixxx. 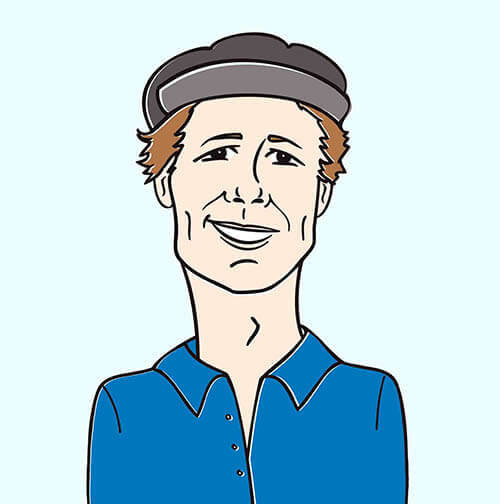 Juan Villalobos (vocals, bass, guitar) met Lorenzo Corral (guitar, bass) in middle school, and Josh Phillips (guitar, bass) in college at Arizona State University. After graduating college, Juan and Lorenzo got in contact with each other to discuss the prospect of forming a band. The two decided on meeting in El Paso on April 1st 2015, the day in which Lorenzo introduced drummer Daniel Paulus (whom he had met a couple years before) to Juan and Josh, marking the first time ever that the four members would play together as a band. The group has been rocking venues all over The Sun City ever since. While they take inspiration from some metal and progressive artists, Hot Shot Kixxx are hesitant to label their music as anything besides “rock”- they told KLAQ El Paso that “we like to incorporate a lot of different styles in our music”, citing “everywhere from Django Reinhardt to Daft Punk to Dream Theater” as acts that have influenced them. In addition to live shows, they’ve been featured on The Metal Shop Vlogs; performed “Lobsterman” for Down The Hall Sessions after winning a battle of the bands sponsored by the same entity, and had “The Devil Inside” played on Lochlann Green’s “From Texas And Beyond” show on KA Radio. “The Devil Inside” comes as the opening track to Hot Shot Kixxx’s 2016 debut EP Black Gold (a fitting title for a band from the Lone Star state). Directed by Jaime Blanco at DoubleScope Films, the video opens with a little girl skipping through a field. When the members of the band start playing with her stuffed animals, she turns villainous. One by one they become her victims, leaving the viewer to wonder if anyone is safe. We’re fired up about everything Hot Shot Kixxx, and we can’t wait to get the music video for “The Devil Inside” in front of your viewers. Please let us know what we can do to get this clip into your programming! For more information please contact Andy Gesner and the HIP Video Promo team at (732)-613-1779 or email us at info@HIPVideoPromo.com.